Since the Islamic revolution in 1979, Iran has promoted “Khomeinism” as one of its foreign policy tools in the Muslim world. Despite Nigeria’s geographic and cultural distance from Iran, there is no region outside of the Middle East where Iran’s ideology has a greater impact than in northern Nigeria. Nigeria’s pro-Iranian Shi`a Muslim community was virtually non-existent 30 years ago but now comprises about five percent of Nigeria’s 80 million Muslims. 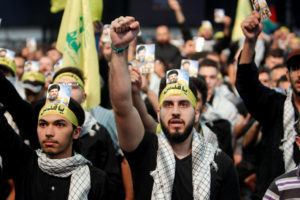 In recent years, Iran’s Quds Force and Lebanese Hizb Allah have coordinated intelligence gathering on U.S. and Israeli targets in Nigeria and engaged in weapons and drug trafficking in West Africa with operatives drawn from Nigeria’s Shi`a community. The Iranian government also maintains ties with an influential religious group called the Islamic Movement in Nigeria (IMN). The rhetoric and actions of the IMN’s leading imams and former members add fuel to the hot mix of Islamic fundamentalist movements that emerged in northern Nigeria after the 1970s. This article analyzes the activities of the IMN, the Quds Force, and Hizb Allah in Nigeria and West Africa. It finds that the Zaria, Kaduna-based IMN’s charismatic leadership and northern Nigeria’s attraction to revivalist Islam enables Iran to spread “Khomeinism” in Nigeria, including its antagonism towards the United States and the West. Kaduna, which is the political center of northern Nigeria, has experienced increased Muslim-Christian violence, unemployment, and anti-Western sentiment since Nigeria restored democracy in 1999 and 12 northern states adopted modified versions of Shari`a (Islamic law). 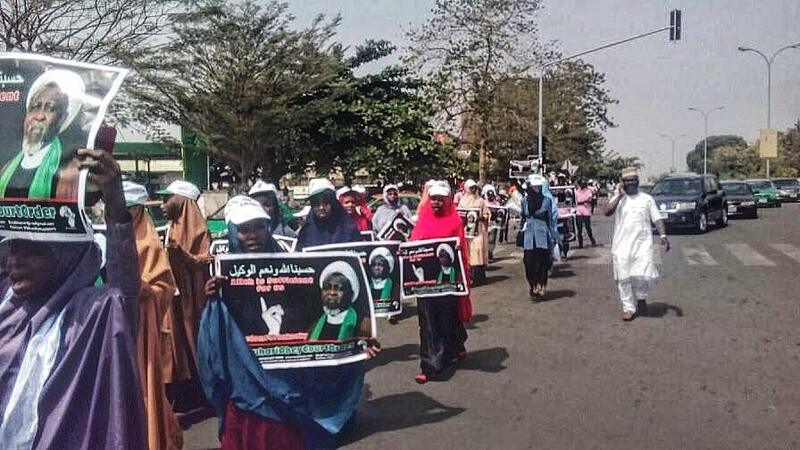 The IMN exploits this extremist-prone environment to extend its message to Shi`a and Sunnis, including members who joined movements such as Boko Haram. 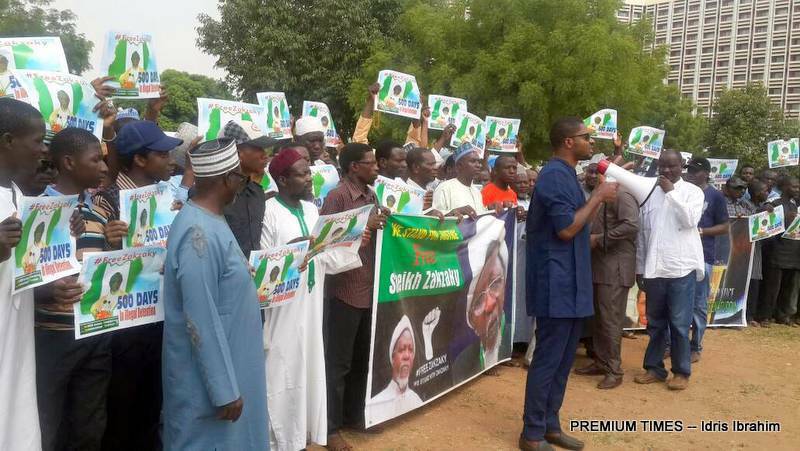 Today, the IMN, which is commonly known in Nigeria as “the Shi`a” (despite al-Zakzaky’s attempts to portray it as non-sectarian), is Africa’s largest Shi`a movement. It has reportedly mobilized more than one million people for Shi`a religious events and 50,000 people for political rallies where Khomeini and his successor, Ali Khamenei, and Hizb Allah leader Hassan Nasrallah are revered, while flags of the “Great Satan [the United States]” and Israel are burned. The IMN also has hundreds of paramilitary guards called hurras, a Hausa language newspaper that honors IMN “martyrs,” a Hausa radio station called Shuhada (the martyrs), an al-Zakzaky Facebook page, and an IMN website with faces of Khomeini, Khamenei and al-Zakzaky on every page. As in previous years, al-Zakzaky visited Iranian centers of Shi`a scholarship in Qom and Mashhad in 2012 and met dozens of IMN members studying in Iran. He also visited Lebanon, where he received a red flag from Karbala, Iraq’s Shi`a shrine of Imam Husayn, as a gift from Nasrallah, and Iraq, where he prayed at Najaf’s Shi`a shrine of Imam Ali. Although a former Iranian diplomat described the IMN as an “Iranian proxy,” the IMN claims it only receives “simple handouts” from its members. 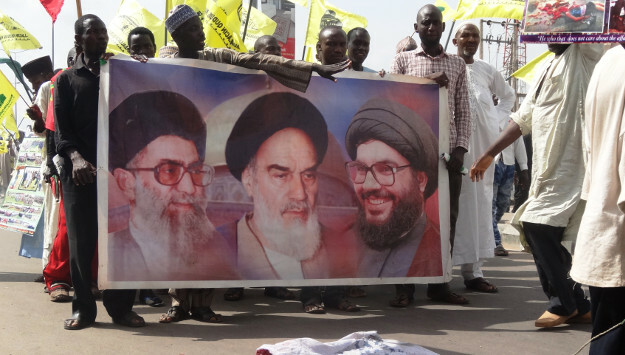 Nonetheless, evidence shows the IMN largely serves as an extension of Iranian foreign policy in Nigeria, especially in spreading “Khomeinism” among the country’s Muslims. In several cases, IMN members have been radicalized in the movement but then formed or joined more violent groups. One example was when a mob of former IMN members turned Salafi-jihadists publicly beheaded a Christian Igbo trader in Kano in 1994 for allegedly desecrating the Qur’an. According to a prominent Zaria-based Salafist imam and Nigerian scholars, Boko Haram founder Muhammad Yusuf also met and followed al-Zakzaky before Yusuf became Borno State amir of Jama`at al-Tajdid al-Islami (Movement for the Revival of Islam, JTI). JTI was a Kano-based IMN breakaway group founded in 1994 that continued al-Zakzaky’s confrontational stance toward the government but through Salafist doctrine and whose members reportedly carried out the beheading of the Christian trader in Kano. In 2002, Yusuf founded Ahl al-Sunna wa al-Jama`a (Companions of the Prophet), which was known locally as the “Nigerian Taliban” or “Yusufiya” (Followers of Yusuf), and became the Borno representative on the Supreme Council for Shari`a in Nigeria. In July 2009, the Nigerian security forces killed Yusuf and 1,000 of his followers, who were by then known as “Boko Haram” because of the radical teachings of Yusuf and his deputy, Abubakar Shekau (“Boko Haram” means “Western education is sinful” in Hausa). In July 2010, Shekau announced that he succeeded Yusuf, and he formed the Salafi-jihadi group Jama`at Ahl al-Sunna li al-Da`wa wa al-Jihad (Sunni Group for Preaching and Jihad), which has continued to be known as “Boko Haram” since it began waging an armed insurgency in September 2010. Yusuf and Sunni leaders of JTI and the more popular Izala movement that subsumed JTI in 1999 likely split from the IMN because of three main reasons: first, they started to believe al-Zakzaky was “smuggling a Shi`a agenda” into the purported “Islamic Movement”; second, the war between Shi`a Iran and Saudi Arabia-backed and Sunni-led Iraq from 1980 to 1988 polarized Shi`a and Sunnis throughout the Muslim world; and, third, Nigerian Sunni leaders, including Yusuf, began receiving funds from Arab countries, such as Saudi Arabia and Sudan, to promote Sunni Islam and Salafism to counter Iran’s influence. Nonetheless, Boko Haram and IMN still share similar doctrines, including: demonizing the United States and its allies; comparing their conflict against the Nigerian government to conflicts between the United States and Muslims in Iraq, Afghanistan and Pakistan; viewing the secular state as “illegitimate”; blaming the “corrupt” government for poverty of the masses while proposing an Islamic system as the solution; claiming Usman dan Fodio’s legacy (while condemning Dan Fodio’s heirs, such as the sultan of Sokoto); exploiting sensitive issues to Muslims; and targeting northern Nigeria’s unemployed youths for membership. Unlike the IMN and virtually all Nigerian Salafist movements, however, only Boko Haram prohibits Western education, service in the government, female membership, and looks to the Taliban and al-Qa`ida (particularly al-Qa`ida in the Islamic Maghreb and al-Qa`ida in Iraq) for inspiration in carrying out violent jihad, including assassinating Salafist imams who preach non-violence and Christians—although Boko Haram has never targeted Shi`a. It is therefore believable that a former Boko Haram member interviewed in August 2013 claimed he was a member of an “Islamic movement” called “the Shi`a” that sent members to Iran for training before he joined a Boko Haram faction in Kaduna that attacked Christians and security forces. Iran’s Quds Force and Hizb Allah’s global operations have involved Nigeria for more than a decade, but their activities were exposed in October 2010. Nigerian customs officials in Lagos seized 13 containers of weapons from a ship operated by the same French-Lebanese businessman’s company that in March 2011 saw a ship bound for Sinai, Egypt, via Syria to supply weapons to Hamas in Gaza intercepted by Israeli naval commandos. The containers in Lagos, which included 107mm Katyusha artillery rockets used by Hizb Allah against Israel in 2006, were shipped on behalf of a Tehran-based Islamic Revolutionary Guard Corps (IRGC) “front company” and were picked up at Bandar Abbas in Iran, where the IRGC has a naval base. According to Nigeria’s foreign minister, the weapons were destined for a warehouse in Abuja, but shippers altered documents to send them to Gambia (presumably for anti-Senegalese rebels in Casamance). Nigerian security officials arrested four individuals: a senior Quds Force officer; a Nigerian who formerly studied in Iran and worked at Radio Tehran’s Hausa language service; and two Nigerian customs officials. A fifth Iranian suspect, Sayyed Akbar Tabatabaei, who was the Quds Force Africa Corps commander, took refuge in the Iranian Embassy, flew back to Tehran with Iran’s foreign minister and was reportedly reassigned to Venezuela to run Quds Force operations in Latin America. One month after these arrests, $10 million worth of heroin hidden in auto engine parts suspected of being linked to the weapons shipment in October was seized in Lagos from a ship originating in Iran. Iran’s role in weapons trafficking resurfaced in May 2013 when Nigerian security forces uncovered a weapons “armory” in a Kano home owned by the Lebanese consul to Sierra Leone. The security forces arrested three individuals, all of whom admitted to receiving training from Hizb Allah, including: a Lebanese citizen, who owned a supermarket and amusement park in Abuja; a second Lebanese citizen, who was arrested at the airport in Kano before boarding a flight to Lebanon; and a dual Lebanese-Nigerian citizen. Although the weapons were rusted, Nigeria’s director of the State Security Service said they were “serviceable,” and a Nigerian brigadier general said they were intended for attacks on U.S. and Israeli targets in Nigeria. 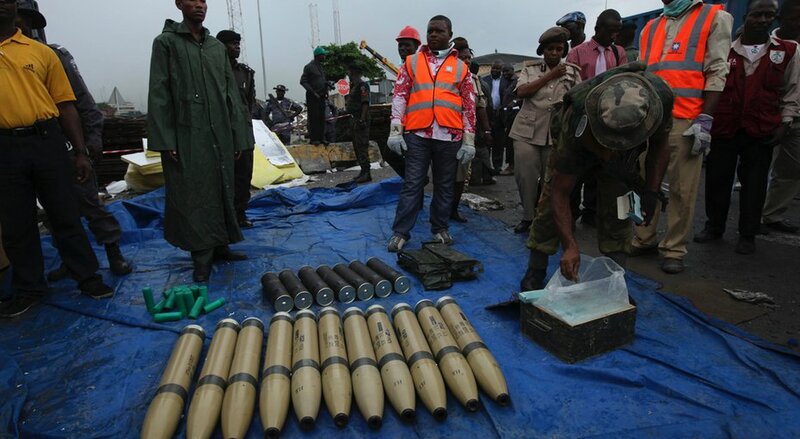 Nevertheless, some of the munitions, such as anti-tank mines, are more compatible with rebel groups than a terrorist group and may have been linked to the weapons and heroin shipments in Lagos in 2010. In February 2013, three months before uncovering the “armory,” Nigeria announced it also uncovered an Iranian-funded cell whose leader admitted to plotting attacks on “prominent Nigerians” to “unsettle the West.” Such leaders included Nigeria’s former military leader, Ibrahim Babangida, and former sultan of Sokoto, Ibrahim Dasuki, as well as Saudi Arabia’s ambassador to Nigeria. The cell also conducted surveillance on USAID, the Peace Corps, an Israeli shipping company, a Jewish cultural center, and hotels frequented by Americans and Israelis in Lagos. The cell’s leader, a Shi`a imam in Ilorin, attended a course at Imam Khomeini University in Qom in 2006. In 2011, he trained in the use of AK-47 rifles and improvised explosive devices in Iran, and in 2012 he traveled to Dubai to receive funding to form the cell. 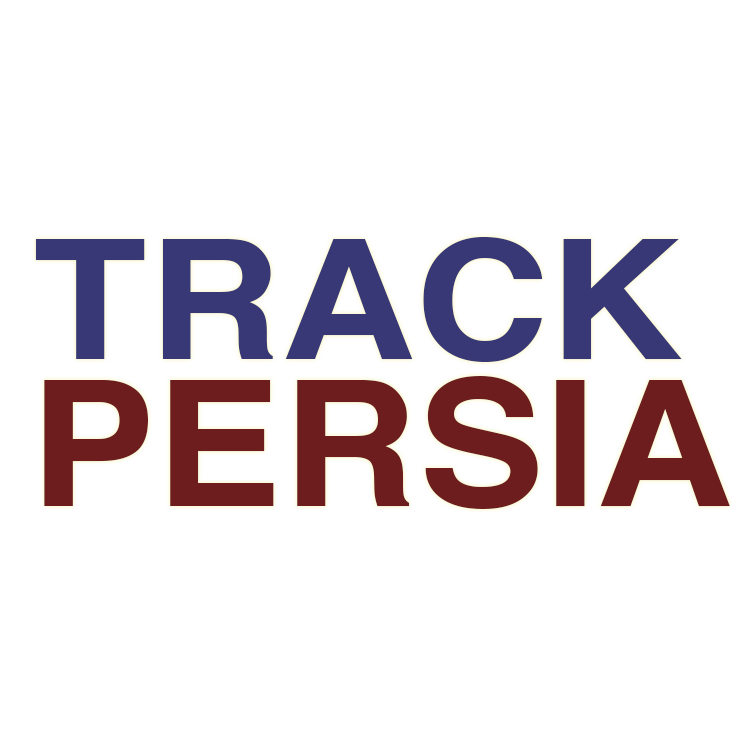 Iran’s activities in Nigeria are consistent with Iran’s actions throughout Africa. For example, in Kenya, two members of the Quds Force were found guilty in May 2013 of storing explosives and carrying out surveillance of Israeli, British, U.S. and Saudi targets in Kenya. The Nigeria and Kenya plots fit the pattern of Quds Force and Hizb Allah operations involving Iranians and dual Lebanese-European or Lebanese-Canadian nationals that targeted Israelis in India, Georgia and Thailand in February 2012; Azerbaijan in March 2012; and Cyprus and Bulgaria in July 2012. The failures of all but the Bulgaria cell, as well as the ability of Israeli intelligence to help national governments track these cells, may have prompted Iran to search for new targets in Africa in 2013, such as Kenya and Nigeria, where Israelis often travel and conduct business. While Iran has increased economic activities and aid to Africa in recent years, much of Iran’s influence is won through ideology promotion, as seen with the IMN in Nigeria. Iran has, for example, opened up Iranian Cultural Centers (similar to Confucius Institutes or Alliance Francaise) in countries such as Sierra Leone and Tanzania, attempted to convert villages from Khartoum to Kordofan in Sudan to Shi’ism, and invited Ivorian and Sudanese Shi`a imams to the Basij base in Ramshir, southwestern Iran. Similarly, indigenous African Shi`a (as opposed to Lebanese-West African citizens) in Sierra Leone, Senegal and other countries receive funding to study Shi’ism in Lebanon or Iran and return home sympathizing with “Khomeinism”; the former president of Comoros from 2006 to 2010, for example, was even nicknamed “Ayatollah” because he studied in Qom under Ayatollah Mesbah-Yazidi, the mentor of former Iranian President Mahmoud Ahmadinejad. As in Nigeria, some African Shi`a have become militants, such as the Ivorian who in July 2013 became the “first African martyr” in Syria defending President Bashar al-Assad’s forces and was later eulogized by Hizb Allah. Iran’s activities in Nigeria likely serve two purposes. First, Tehran wants to win the support of African countries and its one billion people to oppose UN and U.S. policies targeting Iran. Iran has achieved some success, with polls showing in 2013 that many African countries, from Senegal to Ghana to Kenya, have “favorable” ratings of Iran two times higher than the world average. Even after breaking ties with Iran because of the illegal arms shipment in Lagos in 2010 and the Iranian foreign minister’s subsequent admission that Iran supplied “substantial amounts” of arms to anti-Senegalese rebels, Senegal restored relations with Iran at the Organization of the Islamic Conference (OIC) Summit in Cairo in 2013. Similarly, Iran’s promotion of “Khomeinism” has likely influenced public attitudes of Nigerian Muslims and contributed to the recruitment base and ideological development of the IMN and other emerging Shi`a groups in Africa as well as non-Shi`a terrorist groups such as Boko Haram. Until 2011, Nigerian Muslims had higher levels of support for Hizb Allah and Hamas than Muslims in any non-Middle Eastern country and the most favorable views of al-Qa`ida and Usama bin Ladin in the world. Boko Haram’s transition from a Salafist preaching group to a jihadist group in September 2010, however, has led to more than 4,000 deaths in northern Nigeria and a significant drop in Nigerian Muslims’ support for Boko Haram and foreign terrorist groups such as Hamas, Hizb Allah, and al-Qa`ida. Second, there is the potential that Iran is preparing for a U.S. or Israeli attack on Iranian nuclear facilities and other contingencies, such as the civil war in Syria becoming a regional war. Al-Zakzaky said in a BBC interview in 2012 that if Iran were attacked the impact would be felt “not only in Nigeria, but in the entire world.” Iranian-trained cells drawn from Nigeria’s Shi`a community may be part of Iran’s networks, and the possibility of them striking U.S. and Israeli interests in the case of an asymmetric war should not be ruled out. Finally, an issue that remains beyond Iran’s control is how the IMN will evolve if al-Zakzaky transfers leadership to more radical and violence-prone younger imams, such as 48-year-old Mustapha Lawan Nasidi or Yakubu Yahaya, or whether the IMN will fragment. History shows that when groups break from the IMN, they tend to become more violent, possibly because they no longer have al-Zakzaky discouraging them from physical confrontation with the government or with Sunnis and Christians. If a successor to al-Zakzaky cannot maintain stable relations with Nigeria’s Sunnis and Christians, especially with escalating sectarianism in Iraq and now Syria, then Nigeria may experience increased intra-religious conflict in addition to its pre-existing inter-religious conflicts. Jacob Zenn is a consultant on countering violent extremism and policy adviser for the Nigerian-American Leadership Council. He speaks Arabic, French and Swahili and has a degree in law from Georgetown University. His work has focused on international law and best practices related to the protection and promotion of civil society organizations, including a program he co-leads in South Sudan. In 2012, he authored “Northern Nigeria’s Boko Haram: The Prize in Al-Qaeda’s Africa Strategy,” which was published by The Jamestown Foundation. According to one scholar’s definition, Khomeinism is “a form of Third World political populism—a radical but pragmatic middle-class movement that strives to enter, rather than reject, the modern age…a militant, sometimes contradictory, political ideology that focuses not on issues of scripture and theology but on the immediate political, social, and economic grievances of workers and the middle class…[Khomeini] has systematically manipulated history to bolster the clergy’s reputation as champions of the downtrodden and as defenders against foreign powers.” Although Khomeinism is often associated with Shi’ism and support for Iran, it has also been accepted without a Shi`a or Iranian connotation. For example, Sunni Syrians in the Muslim Brotherhood in the early 1980s looked up to Khomeini until he made the “irreparable mistake” of supporting Syrian leader Hafiz al-Assad even after al-Assad’s crackdown on the Syrian rebellion in 1982. Similarly, those who embrace the Islamic Movement in Nigeria’s brand of Khomeinism need not be Shi`a or Iranian, since the doctrine is intended to transcend sect and nationality. Khomeini said in 1980, “We do not worship Iran, we worship Allah; for patriotism is another name for paganism. I say let this land [Iran] burn. I say let this land go up in smoke, provided Islam emerges triumphant in the rest of the world.” Since Khomeini’s death in 1989, however, his successors have tried to “rebrand Khomeini as an iconic patriot” to “strengthen the image of the Islamic Republic.” See Rasmus Christian Elling, Minorities in Iran: Nationalism and Ethnicity After Khomeini (London: Palgrave Macmillan, 2013); Umar Abdallah, The Islamic Struggle in Syria (Berkeley, CA: Mizan Press, 1983); Ervand Abrahamian, Khomeinism: Essays on the Islamic Republic (Berkeley, CA: University of California Press, 1993). Reuters reported in 2008 that “Shi`a Islam was almost unknown in Nigeria until the early 1980s when Muslim radical Ibrahim Zakzaky, fired by the Iranian revolution, campaigned for an Islamic government and stricter adherence to Sharia, or Islamic law.” The IMN estimates its followers (it does not have formal “membership”) at three million, while other estimates range from one million to four million or more. Nigerian Shi`a who are not members of the IMN may be unaffiliated with any movement or members of the Rasulul A’azam Foundation (RAAF). RAAF is led by Shaykh Muhammad Nura Dass and is strongest in Gombe and Bauchi. RAAF, which split from the IMN in 1992, rejects IMN’s confrontational attitude toward the government, argues that the Nigerian secular state is legitimate and must be obeyed, and focuses on Shi`a doctrine and ritual. In contrast to the IMN, whose inspiration comes from Iran’s Ayatollah Khomeini, RAAF is similar to Iraq’s leading Shi`a cleric, Ayatollah Ali al-Sistani, who believes politicians should run economic affairs, day-to-day politics and foreign relations, while the clerics should limit themselves to spiritual and religious matters in which the politicians cannot pass sound judgment. See Farouk Umar and Estelle Shirbon, “Tensions Between Muslims Simmer in Nigerian City,” Reuters, March 19, 2008. Muhammad Sani Umar, “Education and Islamic Trends in Northern Nigeria: 1970s to 1990s,” Africa Today 48:2 (2001); Ahmad Dallal, “The Origins and Objectives of Islamic Revivalist Thought, 1750-1850,” Journal of the American Oriental Society 113:3 (1993). Although Nigeria has been under civilian rule and held democratic elections since 1999, many scholars question whether Nigeria is a “democracy” or a “selectocracy,” “petrocracy,” or “kleptocracy.” The ineffectiveness and corruption of Nigerian democracy are reasons why the IMN and other Islamist movements, such as Boko Haram, have opposed democracy. In a September 25, 2013, video statement, for example, Boko Haram leader Abubakar Shekau said, “The concept of government of the people, by the people, for the people cannot continue to exist. It shall soon, very soon, be replaced by Government of Allah, by Allah, for Allah.” See Godwin Etakibuebu, “This Nigerian Democracy is Really Going Crazy,” Vanguard, September 24, 2013; Prince Osuagwu and Vincent Ujummadu, “What We Practice in Nigeria is Selectocracy – Prof Mojekwu,” Vanguard, March 29, 2011; Tina Rosenberg, “The Perils of Petrocracy,” New York Times, November 4, 2007; Ekanem Ekop, “Kleptocracy as Nigeria’s Albatross,” Nigerian Tribune, July 3, 2013; “Boko Haram’s Shekau Appears in Video After Death Claims,” Vanguard, September 25, 2013; Tom Ashby, “Christians Say Islamic Extremism on Rise in Nigeria,” Reuters, April 17, 2004. The Nigerian Umar Farouk Abdulmutallab is, for example, a likely byproduct of this extremism-prone environment. He attended anti-American sermons in mosques in Kaduna years before he trained with al-Qa`ida in the Arabian Peninsula (AQAP) to detonate explosives on a Detroit-bound plane on Christmas Day 2009. His neighbor in Kaduna said, “For 30 years, there has been violence here. People like Farouk grew up in this atmosphere. I don’t think all his radical ideas came from Yemen.” The Boko Haram breakaway faction, Ansaru, which was closely connected to affiliates of al-Qa`ida in the Islamic Maghreb (AQIM), also formed its first shura council in Zaria, Kaduna, in 2011. See “Arrests Follow Kaduna Clashes,” BBC, November 5, 2001; Adam Nossiter, “Lonely Trek to Radicalism for Terror Suspect,” New York Times, January 16, 2010. Ibrahim Usman, “Zakzaky – Ahmadu Bello University’s Last Alumnus Standing,” Daily Trust, December 5, 2012; Muhammad Dahiru Sulaiman, “Shiaism and the Islamic Movement in Nigeria 1979-1991,” in Ousmane Kane and Jean-Louis Triaud eds., Islam et Islamismes au sud du Sahara (Paris: Karthala, 1998). Al-Zakzaky said, “The Islamic Awakening started when Allah blessed this Ummah with people like Shaykh Hasan al-Bana, Maududi, Sayyid Qutb and Imam Khomeini…But above all, the last two made the greatest impact. Sayyid Qutb made his impact ideologically, for he was executed by the tyrants before he could realize his theory. As for Imam Khomeini, he is a unique personality in the history of mankind…This is partly because the Islamic revolution in Iran came at a time when all hopes were almost lost.” See “The Islamic Awakening: Islamic Struggle, Correct Path to Lasting Success,” Islamicmovement.org, undated. Alexander Thurston, “Interactions Between Northern Nigeria and the Arab World in the Twentieth Century,” Georgetown University Masters Thesis, 2009. Roman Loimeier, Islamic Reform and Political Change in Northern Nigeria (Evanston, IL: Northwestern University Press, 1997), p. 299. Dauda Nalado, “Islamic Authority Would be Established in Nigeria,” Islamicmovement.org, September 22, 2010; Karl Maier, This House Has Fallen (London: Penguin Books, 2000). Ayatollah Khomeini also “downplayed” the Iranian Revolution’s “Shi`a” image. According to Vali Nasr, “[Khomeini] posed as a champion of Islamic revival, and presented the Iranian revolution as the Islamic revolution that the Sunni thinkers of the Muslim Brotherhood and Jamaat-e Islami had been claiming was necessary if Islam’s fortunes were to be restored… His anti-Americanism had roots in Iranian history but was in many regards a byproduct of his ambition to be recognized as the leader of all Muslims, to find a cause that would unite Shias and Sunnis under his cloak.” See Vali Nasr, The Shia Revival: How Conflicts Within Islam Will Shape the Future (New York: W.W. Norton & Co., 2006), pp. 136-138. The term “Great Satan” is a derogatory epithet for the United States that was first used by Ayatollah Khomeini in a speech on November 5, 1979. Al-Zakzaky also uses the term to refer to the United States. The IMN leader in Yobe, Mustapha Lawan Nasidi, estimated that the February 20, 2011, Mawlid celebration in Zaria had two million youths in attendance, while other witnesses observed that Nasidi may have exaggerated the number, but there was still a continuous line of youths for two kilometers along roads leading to the main square. See Samuel Aruwan, “Anti-Islam Film: 50,000 Shiites Protest in Zaria,” Blueprinting, September 21, 2012. Hausa is the lingua franca in northern Nigeria and seen as a language of the masses, as opposed to English, which is the language of the elite. For al-Zakzaky’s Facebook page, see www.facebook.com/sayyidzakzaky. For the IMN’s website, see www.islamicmovement.org. For al-Zakzaky’s visit to Iran, see www.islamicmovement.org/index.php?option=com_content&view=article&id=298:pictures-of-sheikh-zakzakys-visit-to-some-places-inside-iran&catid=41:frontpage. Photos of al-Zakzaky’s visits to Lebanon and Iraq are available at www.islamicmovement.org. Dan Brett, “Profile of an African Hezbollah,” Middle East Strategic Information, January 25, 2009. “Re-Insecurity: The Middle East Factor,” Islamicmovement.org, June 20, 2013. “Highlight of Sheikh Zakzaky’s Speech,” July 1, 2008, available at www.sharqeyah.us/vb/showthread.php?p=238378&langid=1. Agaju Madbuga, “Boko Haram Creation of the West – Zakzaky,” Daily Champion, September 6, 2011. These reports come from eyewitnesses to the protests. See Muhammad Nur Alkali, Abubakar Kawu Monguno, and Ballama Shettima Mustafa, “Overview Of Islamic Actors in Northeastern Nigeria,” University of Oxford, January 2012. Aminu Abubakar, “Boko Haram Chief Issues Video Threat Over Anti-Islam Film,” Agence France-Presse, October 1, 2012. Twenty-one years later, in 2012, This Day media houses in Abuja and Kano were attacked by suicide bombers connected to Boko Haram in revenge for portraying the Prophet Muhammad satirically in a cartoon that it published in 2001. See Loimeier, Islamic Reform and Political Change in Northern Nigeria, p. 300; Toyin Falola, Violence in Nigeria: The Crisis of Religious Politics & Secular Ideologies (Rochester, NY: University of Rochester Press, 1998). Segun Olatunji, “Arms Stockpiling: Kaduna Police Boss, Islamic Sect on War Path,” Punch, March 19, 2009. Sunnis alleged that Shi`a were disrespecting the sultan of Sokoto and that al-Zakzaky was fueling the crisis for personal gain, while Shi`a alleged the sultan was behind the attacks on Shi`a and that Sunnis started the conflict by violently breaking up a Shi`a Ashura procession. See Musa Umar Kauzare and Aminu Mohammed, “Sokoto Sectarian Clash: Matters Arising,” Daily Trust, June 17, 2005. “Nigerian Clash Over Cleric Death,” BBC, July 19, 2007. Nasidi gained popularity in 2006 when he led the protests against the Danish cartoons depicting the Prophet Muhammad in a satirical way. See “Yan Uwa Uku Ne Suka Yi Shahada Sakamakon Harin Da Sojoji Suka Kai Markaz a Potiskum,” Harkar Musulunci, May 29, 2012, available at www.harkarmusulunci.org/data.asp?id=102535&lang=1. Ibraheem Musa and Isa Liman, “Police Set to Sack Shiites,” Daily Trust, September 11, 2009. Etanibi Alemika and Festus Okoye, “Ethno-Religious Conflicts and Democracy in Nigeria: Challenges. Kaduna, Nigeria,” Human Rights Monitor, 2002; Adamolekun Taiye, “Religious Fanaticism and Fundamentalism in Nigeria Since 1980: A Historical Perspective,” British Journal of Arts and Social Sciences 9:2 (2012); Karl Maier, “Beheading Stirs Nigerian Tension,” Independent, August 16, 1995; Jamalah, “Did Gideon Akaluka Really Desecrate The Holy Qur’an? A Contrarian Muslim Review,” Nairaland, April 26, 2011; Tajudeen Suleiman, “The Plot to Islamise Nigeria,” Tell, November 30, 1990. It is certain that Yusuf, who was a native of Yobe State and acquired religious prominence in Yobe and Borno, would have come into contact with IMN leaders in Yobe. IMN has a well-established presence in Potiskum, Yobe’s capital, where Mustapha Lawan Nasidi is the leading IMN imam. In one of Yusuf’s sermons from 2009, he also said, “Muslims are very divided, some fight as Shi`a, others as Sufi and others as a mixture of everything…We had Sunni groups that started as Muslim Brothers, but ended up turning into a Shi`a sect. Another group also emerged called Jama’atu Izalatul Bid’a wa Ikamatu Sunna, but they all ended up working with the government. In fact some of their members embraced democracy and even became chairmen and councilors of local government areas. This indeed is no religion at all.” Terje Østebø also wrote that Yusuf was “a self-educated activist, inspired by the Islamist Muslim Students’ Society of Nigeria (MSSN), formed in 1954, and in particular Ibrahim al-Zakzaki.” See Terje Østebø, “Islamic Militancy in Africa,” Africa Center for Strategic Studies, November 2012; Abimbola Adesoji, “The Boko Haram Uprising and Islamic Revivalism in Nigeria,” Africa Spectrum, 2010; “Who Are the Boko Harams, Part I,” naijainfoman.wordpress.com, June 24, 2012; “Shekh Albani Speaks On Boko Haram,” Sunday Trust, January 1, 2012; Ousmane Kane, Muslim Modernity in Postcolonial Nigeria (Leiden: Brill, 2003). Tahir Haliru Gwoza, “Activities of Islamic Civic Associations in the Northwest of Nigeria: With Particular Reference to Kano State,” Africa Spectrum, 2003; Mark Bray, Universal Primary Education in Nigeria: A Study of Kano State (London, Boston and Henley: Routledge & Kegan Paul, 1981). Yusuf also reportedly belonged to the Izala movement for a period of time in the 2000s until he broke away from Izala because he believed the movement became too close to the Nigerian government and “tolerant of other Islamic tendencies.” See Nosa James-Igbinadolor, “Why We Must Fight And Win This War Against The Zealots,” Sahara Reporters, October 8, 2013; Bestman Wellington, “Nigeria and the Threat of al-Qaeda Terrorism,” Terrorism Monitor 6:12 (2008); Bayo Oladeji et al., “Boko Haram Picks Datti Ahmed as Mediator,” Leadership, March 14, 2012. Jama`at Izalat al-Bid`a wa Iqamat al-Sunna (Society of Removal of Innovation and Reestablishment of the Sunna), known as Izala, was founded in 1978 by Shaykh Ismaila Idris in Jos, Plateau State. The movement is anti-Sufi and fights bid`a, or innovation, that it believes is practiced by Sufi Brotherhoods, including the ritual of visiting the tombs of Islamic saints. Izala is now one of the largest Islamic movements not only in Nigeria, but also in West African countries such as Niger and Chad. Saudi Arabia and Kuwait are known to fund the building of Izala mosques in the region, although Izala is generally more progressive than those countries in terms of women’s education and other social issues. Saudi Arabia reportedly provided Iraq with $1 billion per month starting in 1982. See John Bulloch and Harvey Morris, The Gulf War: Its Origins, History and Consequences (London: Heinemann Ltd., 1991). John Paden, Faith and Politics in Nigeria: Nigeria as a Pivotal State in the Muslim World (Washington, D.C.: U.S. Institute of Peace Press, 2008); “Nigeria: Investigating Wahhabi Insurrection and Saudi Funds,” IRIN, January 25, 2004; “Sudanese Arrested, Accused of Funding December Islamic Uprising,” IRIN, February 20, 2004; Roman Loimeier, “Playing with Affiliations: Muslims in Northern Nigeria in the 20th Century,” in Laurent Fourchard, Andre Mary and Rene Otayek eds., Entreprises religieuses transnationales en Afrique de l’Ouest (Paris: Karthala, 2005). Usman dan Fodio was a pre-colonial West African Islamic leader. For more details, see Philip D. Curtin, “Jihad in West Africa: Early Phases and Inter-Relations in Mauritania and Senegal,” Journal of African History 12:1 (1971). As an example of al-Qa`ida in the Islamic Maghreb and Algerian jihadists’ influence on Yusuf, in an undated Hausa sermon called “Tahirin Musilminai” (History of Muslims), Yusuf said, “We are yet to establish a pure Sunni Islamic sect that will be ready to take on ignorance and secularism. The few we have and are functioning are al-Qa`ida and the Taliban whose ideology and theological foundations are purely Sunni in nature. Finally, we have other groups emerging in Algeria, all of them have missions committed to the spread of Islam and I hope you understand all these.” This video is available at www.youtube.com/watch?v=eUQYNucjqUE. In an April 2009 sermon called “Guzurin Mujaahidai” (Foundations of Jihad), Yusuf also said, “In Algeria, they tried to introduce democracy but when they realized democracy was anti-Islam and anti-Allah, they came back to the way of Shari`a. They formed the Islamic Jihad group that was initially made up of more than 50,000 people. But since the group refused to follow the way of Shari`a, the way of Allah, their numbers declined drastically.” This video is available at www.youtube.com/watch?feature=player_embedded&v=VWCNdqwGU-M#t=2690. According to prominent imam Muhammad Auwal al-Bani of Zaria, “Yusuf had listened to some leaders of the Algerian Islamist insurgency pronounce a fatwa that prohibited the militants to attend schools and to work for the government. Besides having been rejected by the vast majority of Algerian scholars, the fatwa was rooted in the specific experience of the Algerian civil war of the 1990s between the military government and armed Islamist cells operating from the mountains. Yusuf blindly absorbed it and applied it to a different context like Nigeria.” Boko Haram members also trained in Algeria during the mid-2000s, including those who later planned the suicide attack on the UN Headquarters in Abuja on August 26, 2011, and those who broke from Boko Haram to form Ansaru. Abubakar Shekau has frequently referred to al-Qa`ida in Iraq leaders Abu Mus`ab al-Zarqawi and Umar al-Baghdadi, and he has employed takfiri (accusing other Muslims of apostasy) ideology to justify Boko Haram’s attacks. See Andrea Brigaglia, “Ja‘far Mahmoud Adam, Mohammed Yusuf and Al-Muntada Islamic Trust: Reflections on the Genesis of the Boko Haram Phenomenon in Nigeria,” Annual Review of Islam in Africa 11 (2012). “Confessions of Boko Haram Fugitive,” Sun News Online, August 10, 2013. Nick Tattersall, “Weapons Seized in Nigeria Came from Iran: Shipping Company,” Reuters, October 30, 2010. Yemi Adebowale, “Illegal Weapons Loaded in Iran,” This Day, October 29, 2010. “Arms Seizure: Nigeria Reports Iran to the UN,” Elombah.com, November 16, 2010. “Arms Shipment: Nigeria Trial Will Expose Iran Gun-running,” Vanguard, January 19, 2011. Ibid. Tabatabaei and the other suspects were proscribed by the U.S. Treasury Department for overseeing the shipment to Gambia. 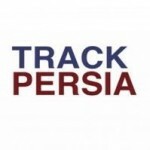 See “Treasury Targets Iranian Arms Shipments,” U.S. Treasury Department, March 27, 2012. “Suspected ‘Hezbollah Cell’ Armory Uncovered in Kano City,” Digital Journal, June 2, 2013; Abdulsalam Muhammed, “Hezbollah Weapons Warehouse Belongs to Sierra Leonean – Lebanese Consul,” Vanguard, June 4, 2013. “Hezbollah Members Arrested In Kano, Illegal Armoury Discovered,” Point Blank News, May 30, 2013. “Nigerian Army Links Boko Haram To Hezbollah,” Sahara Reporters, May 30, 2012. Austine Odo, “SSS Busts Alleged Iran-Linked ‘Spy Network,’” Daily Trust, February 21, 2013. “Suspect Alleges Plot to Kill Saudi Ambassador to Nigeria,” Vanguard, August 3, 2013. Bashir Adigun, “Nigeria Secret Police Say Terror Group Broken Up,” Associated Press, February 20, 2013. Success Nwogu, “Court Orders SSS to Release Berende, Terror Suspect,” Punch, May 27, 2013. Soni Daniel, “How We Saved Dasuki IBB, From Assassins – DSS,” Vanguard, February 21, 2013. Kenyan officials reportedly said, “The advanced explosives the Iranians had and their links to the Quds Force would indicate the mission in Kenya was cleared by the highest levels inside Iran’s government.” See Snejana Farberov, “Two Iranians from Elite Revolutionary Guard Unit Arrested in Kenya While ‘Plotting to Attack U.S., Israeli and British Targets,’” Guardian, July 2, 2012; Tom Odula, “Kenyan Court Sentences 2 Iranians to Life in Jail,” Associated Press, May 6, 2013. Matthew Levitt, “Hizballah and the Qods Force in Iran’s Shadow War with the West,” The Washington Institute of Near East Policy, January 2013; “Iranian and Hezbollah Terrorist Attacks against Israeli Targets Abroad The Situation on the Ground and Background Information,” The Meir Amit Intelligence and Terrorism Information Center, February 15, 2012. The Basij (Persian: Sazman-e Basij-e Mostaz’afin, literally “The Organization for Mobilization of the Oppressed”) is a paramilitary volunteer militia established in 1979 by order of Ayatollah Khomeini and has a base in almost every Iranian city. See Ahmed Janabi, “Shia Books Spark Debate in Sudan,” al-Jazira, December 22, 2006; Saidu Kamara, “Sierra Leone: Iranian Cultural Centre to Reopen,” Standard Times, April 6, 2004. Although Sudan is majority Sunni and has promoted Salafism abroad, the government is allied with Iran and Hizb Allah in opposing Israel and supplying weapons to Hamas in Gaza, so Sudan likely tolerates some of Iran’s religious activities in the country. See “Le véritable poids de la communauté chiite au Sénégal,” Leral.net, November 11, 2011; Lloyd Ridgeon, Shi’i Islam and Identity: Religion, Politics and Change in the Global Muslim Community (New York: I.B. Tauris, 2012); “Sheikh Harun Bari: Over 1 Million Shias Live in Sierra Leone,” Ahlul Bayt News Agency, September 13, 2011. Comoran President Sambi was, however, Sunni, and also studied in Saudi Arabia and Sudan, but some Shi`a believe he is Shi`a and committed taqiyya (a method whereby a Muslim—often Shi`a—can legally deny his or her faith or commit blasphemous acts if facing persecution or needing protection from the majority). Comoros is mostly Sunni and therefore Sambi could have hypothetically hid his Shi`a beliefs to win the presidential election. See “Profile: The ‘Ayatollah’ of Comoros,” BBC, May 16, 2006; “Details of Spending Iran’s Wealth in Other Countries,” CNN, July 23, 2009. “The First African Martyr in Defense of the Shrine,” valieamr.com, July 26, 2013. Also see www.southlebanon.org/?p=79659. “Global Views of Iran Overwhelmingly Negative,” Pew Research Center, June 11, 2013. “Iran, Senegal Resume Diplomatic Ties: Report,” Agence France-Presse, February 7, 2013. “Muslim Publics Divided on Hamas and Hezbollah,” Pew Research Center, December 2, 2010. The BBC also reported that in the months following the September 11, 2001, attacks in the United States, there was a “massive rise” in newborn males named Usama (after Usama bin Ladin) in Nigeria, including 70% of newborn males at one hospital in Kano. See “Osama Baby Craze Hits Nigeria,” BBC, January 3, 2002. “Muslim Publics Share Concerns about Extremist Groups,” Pew Research Center, September 10, 2013. Guy Taylor, “Attack on Syria Likely to Trigger Terrorists Acts Against U.S., Israel,” Washington Times, August 26, 2013; “Pro-Hezbollah Sheikh Warns U.S. Interests at Risk if Syria Hit,” Daily Star, August 27, 2013. Mark Lobel, “Sheikh Zakzaky: Why Nigeria Could Fear an Attack on Iran,” BBC, May 8, 2012. See, for example, the cases of the JTI members who split from al-Zakzaky and reportedly carried out the beheading of a Christian Igbo trader in Kano in 1994, as well as the interview of Nasir Isiaku, who left the “Shi`a” to join a Boko Haram cell in Kaduna that targeted Christians and security forces.